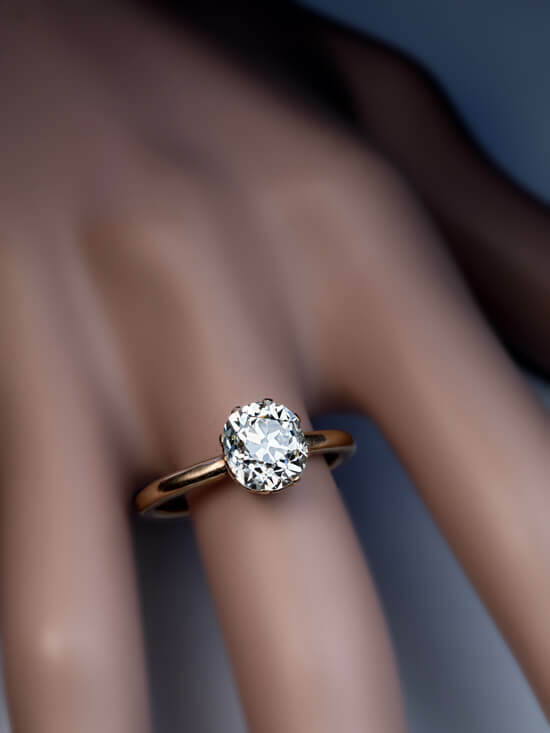 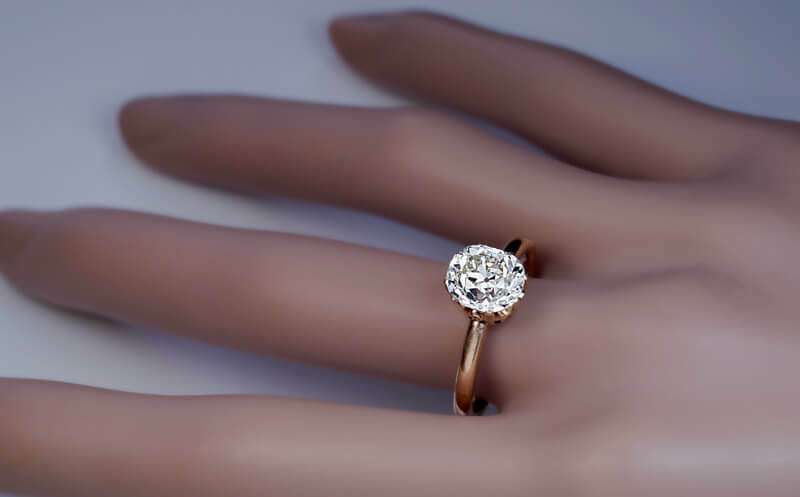 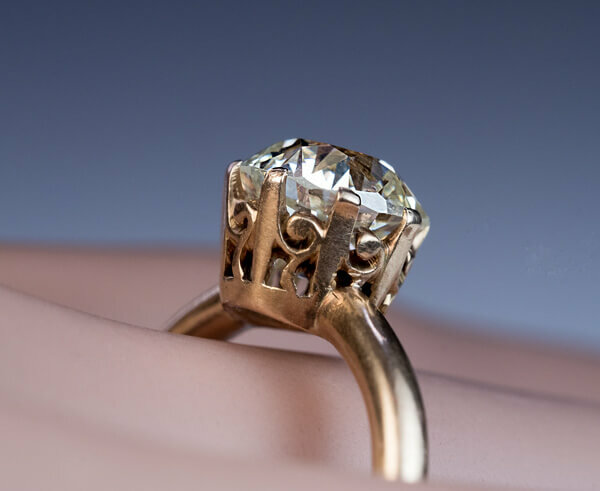 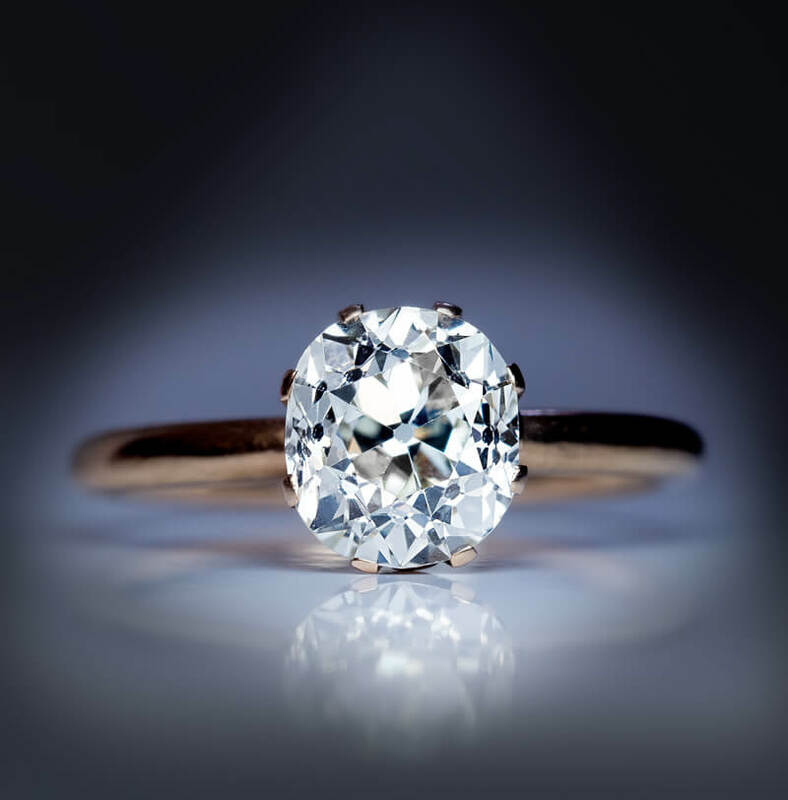 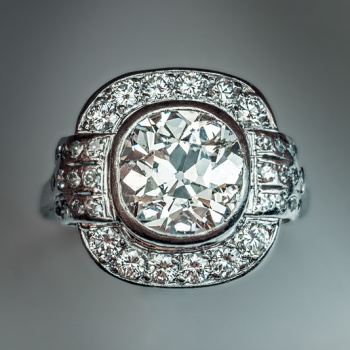 A 14K yellow gold ring is prong set with a sparkling old cushion cut diamond measuring 8.37 x 7.47 x 5.5 mm, approximately 2.66 ct, L color, VS2 clarity. 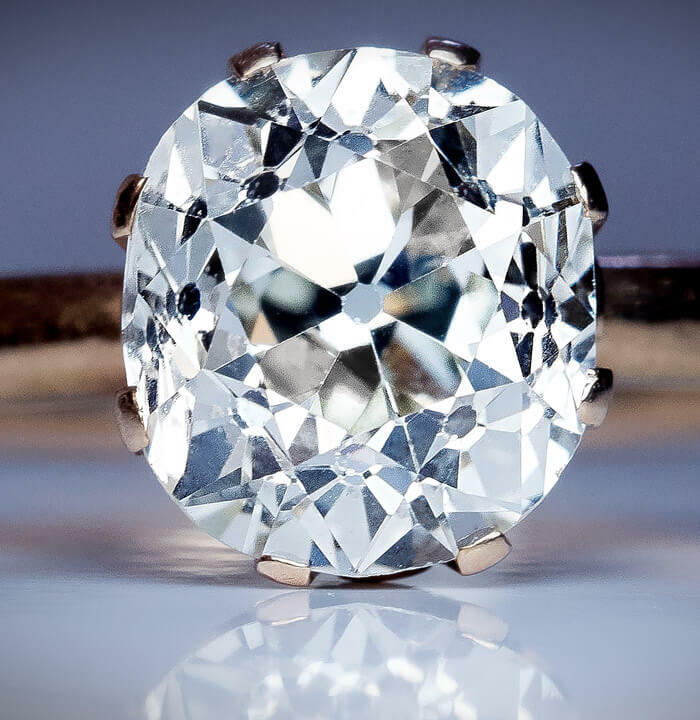 The diamond has an incredible flare. 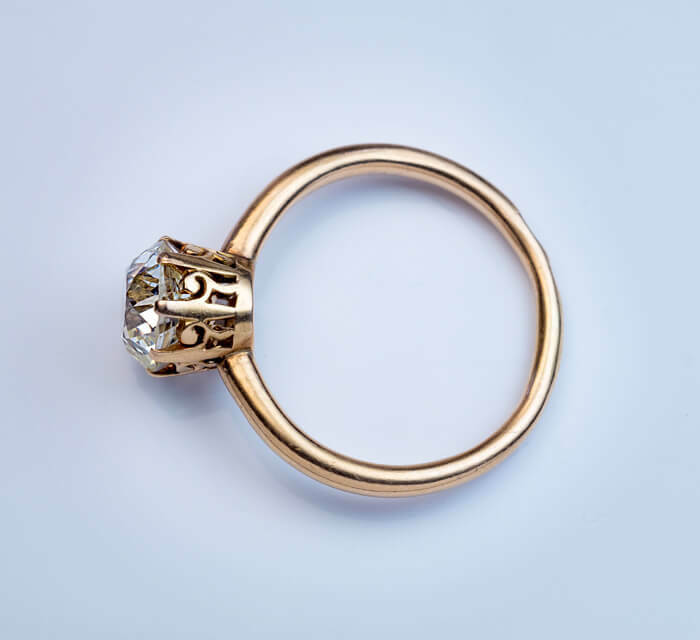 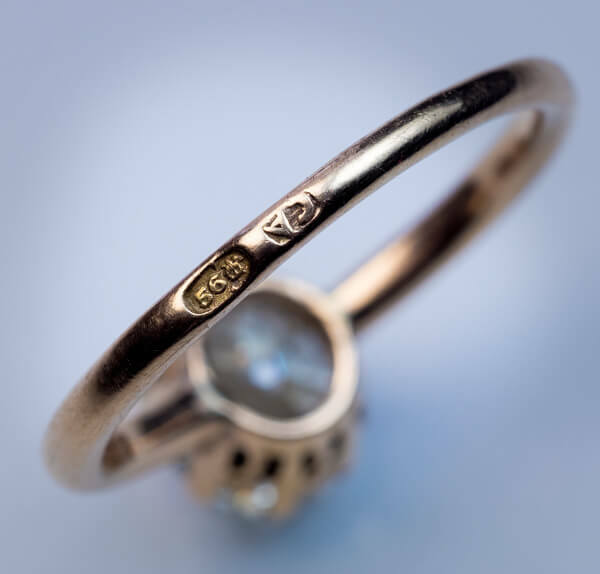 The ring is marked with 56 zolotnik Imperial gold standard with St. George assay symbol for Moscow and maker’s initials ‘CA’. 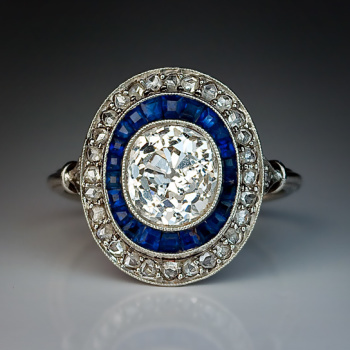 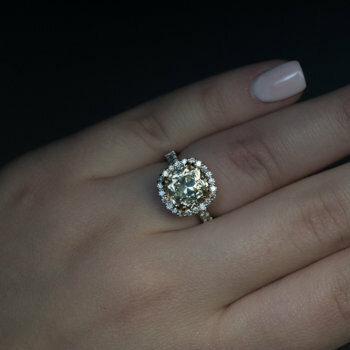 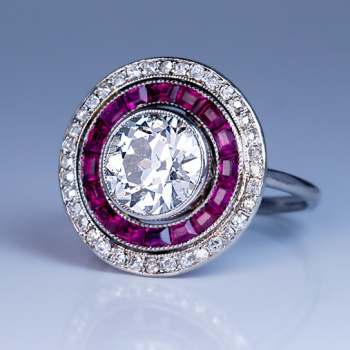 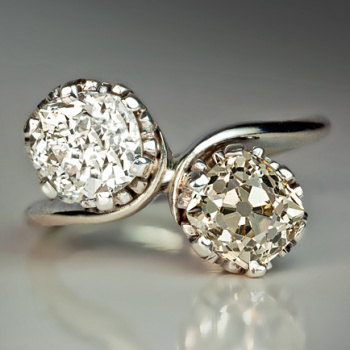 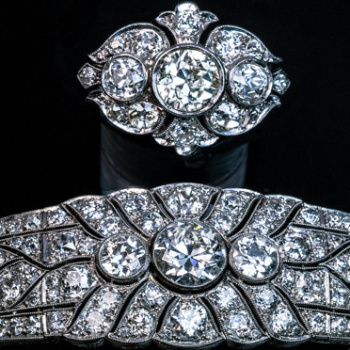 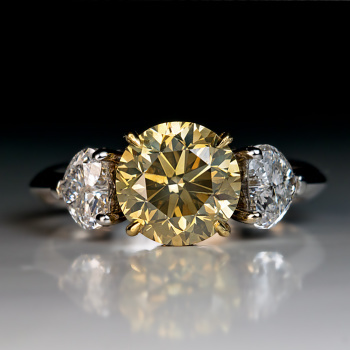 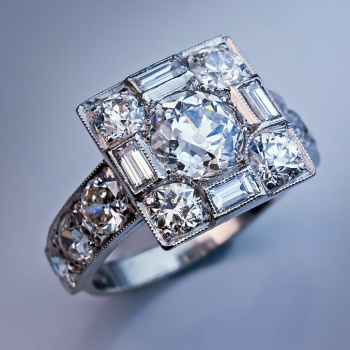 Antique Russian 19th century rings with big diamonds (over 2 cts) are extremely rare.